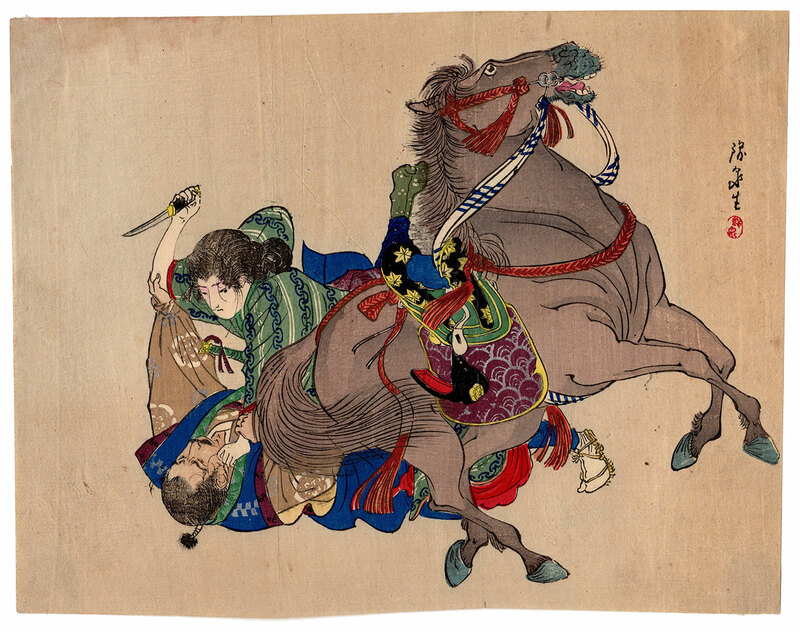 Compelling polychrome woodblock print of the kuchi-e (口絵) type, made in the early '900 by the artist Suzuki Kinsen (鈴木錦泉) and depicting the murder of a samurai who has just been unsaddled by a woman who assails him with a tanto (短刀) knife. 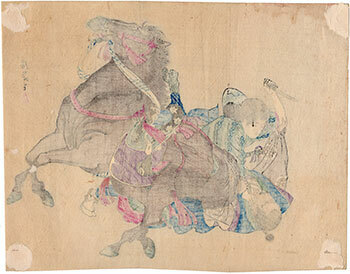 Suzuki Kinsen (1867 - 1945) was born in Wakayama (和歌山) and began his artistic studies in the context of nanga (南画), a pictorial school that flourished in the late Edo period (江戸時代) among artists who considered themselves intellectuals or literates. 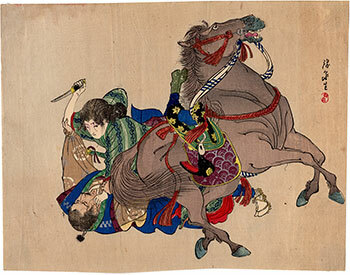 In order to make his talent financially profitable, he later turned to the study, by himself, of the ukiyo-e (浮世絵) genre thus becoming a highly appreciated illustrator of novels. 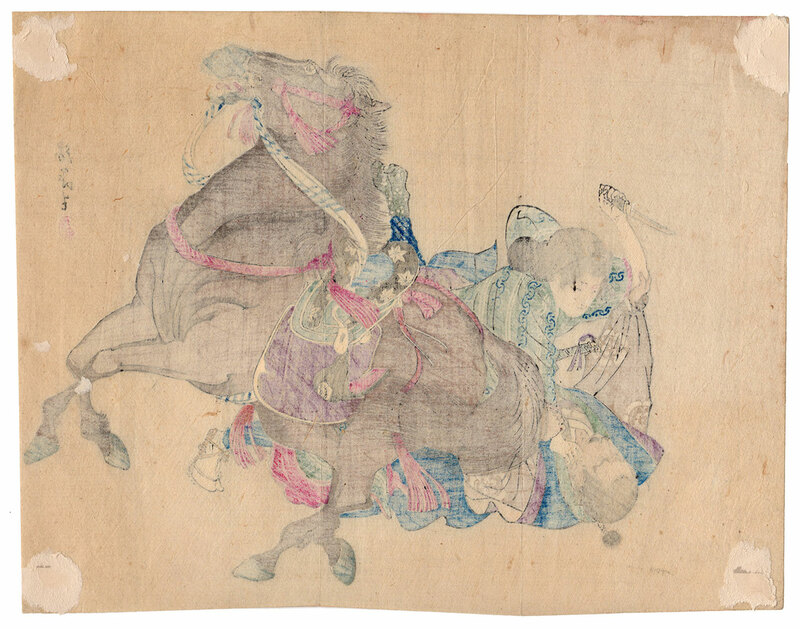 The work on Japanese washi paper (和紙), despite the right signs of the time, is in good condition.